Sam Cooper with HER Realtors just listed another home in Groveport Ohio 43125. Sam Cooper listed 5339 Victoria St. Groveport Ohio for $132,900. 5339 Victoria St. is a beautiful two story home residing in the desirable Fairchild Estates Subdivision. 5339 Victoria St. Groveport Ohio 43125 features over 1500 square feet of living space with 4 bedrooms, 2.5 baths, a basement, living room, dining room, updated kitchen with island & pantry, attached 2 car garage and fenced in backyard with deck. 5339 Victoria St. boasts an impressive, vaulted master bedroom with plant ledge, walk in closet and full master bath. All baths have been updated throughout. There are no homes behind 5339 Victoria St. offering great views. If you know anyone that may be interested in 5339 Victoria St. Groveport Ohio 43125, please have them contact Sam Cooper with HER Realtors. 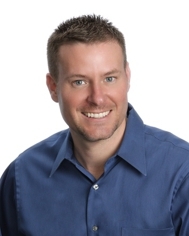 Sam Cooper is one of the top 1% selling real estate agents in all of Central Ohio. Email Sam: sam.cooper@realliving.com or call direct: (614) 561-3201. For more information or to schedule a showing of this beautiful property for sale in Fairchild Estates contact Sam!